In exactly one month, we’ll be packing our gear for another short trip to Whenua Hou/Codfish Island. David Houston and Thomas Mattern will be flying to the island to find tawaki volunteers that have just finished or are about to finish their moult. 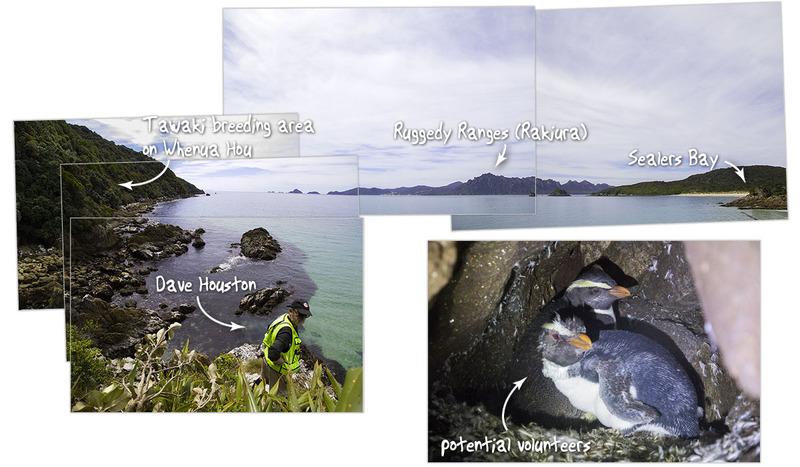 After having tracked the penguins during their journey before the moult last year (check out our blog post about this: http://www.tawaki-project.org/…/the-tawaki-pre-moult-journ…/), we now want to reveal another big secret about the penguins. Where they spend the austral winter and prepare for the next breeding season. We have 12 devices available which we hope to deploy in equal numbers at our three study sites, Jackson Head, Milford Sound and Whenua Hou.